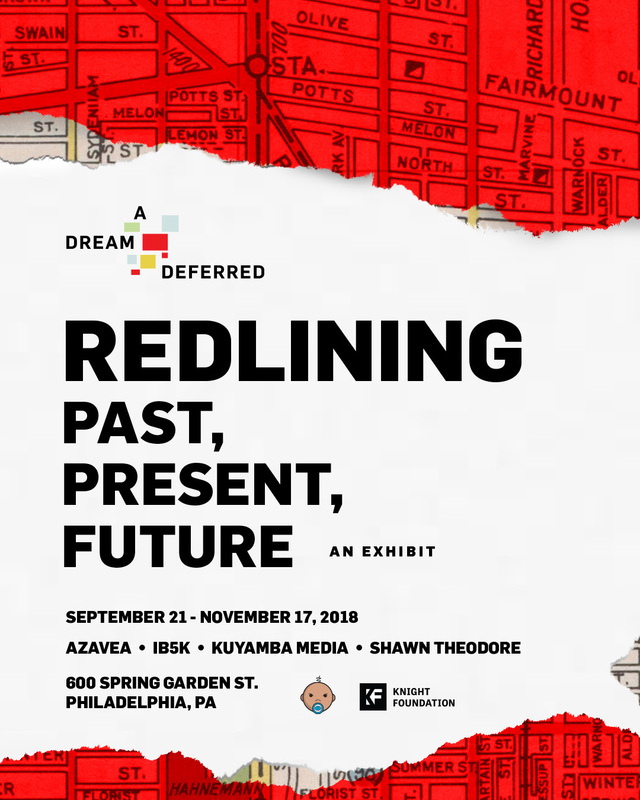 Using art, technology, and media, A Dream Deferred tells the story of how race and policy shape the landscape of Philadelphia and the lives of its residents. The project, named for a poem by Harlem Renaissance writer Langston Hughes, will explore what happens when people and cities are restricted from reaching their true potential. Experience multimedia storytelling through interactive touchscreen mapping, a large-scale art installation by Shawn Theodore, and short documentary film. 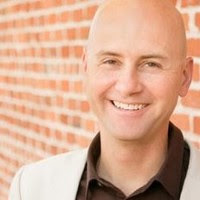 Visitors will also have a chance to share their personal reactions in a private confessional booth. Complementing the exhibit is a community panel series seeking to examine the myth of meritocracy. 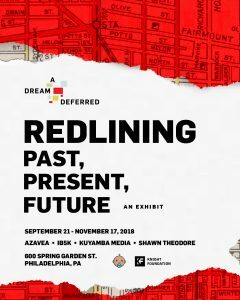 For more information on exhibit hours, partners, and panel series, visit adreamdeferredphl.org.